We work with our clients during the initial fact-finding phase and throughout the entire litigation process. The Law Office of Natasha P. Johnson, P.A. carefully considers every option to amicably settle all disputes in order to save time, expense and to preserve the relationship between the parties. When necessary, the Law Office of Natasha P. Johnson, P.A. will provide aggressive representation in state court to protect the interests of its clients. 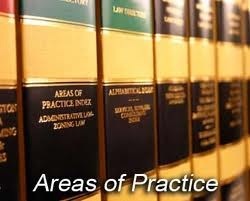 The areas of practice include Criminal Law, Delinquency Law, Family Law, Probate Matters and Dependency Law. This law office understands the strain that is placed on a family in a pending divorce. A family experiences varying emotions when making a determination about the best interest of the children, the division of property and assets, and other financial issues that arise from a dissolution action. If the husband and wife can agree on every issue pertaining to the dissolution, then the divorce will be considered uncontested. An uncontested divorce can save the parties a considerable expense. If the husband and wife cannot agree about every issue in the pending dissolution, then the divorce proceedings will be considered contested and will require mediations and possible court appearances. The communications and correspondences with the Law Office of Natasha P. Johnson, P.A. is confidential and is subject to Attorney/Client Privilege. The Attorney/Client Privilege is a law that protects communications between attorneys and their clients. The communications will remain confidential and this privilege encourages openness and honesty between attorneys and their clients because attorneys cannot reveal attorney/client communications. Additionally, the attorney work product privilege prevents an attorney from disclosing client confidences to opposing parties. To advise a client properly, an attorney must have a complete knowledge of the facts, including any "bad" or "damaging" fact. The attorney/client privilege and the attorney work product privilege create a protection of privacy so that the staff can candidly inform the attorney of all the facts in a confidential and privileged setting. The Law Office of Natasha P. Johnson, P.A. will meet with you to review and determine your legal needs and proceed accordingly. There will be a minimal consultation fee at the initial visit. Please schedule an appointment and we will be happy to address your needs.